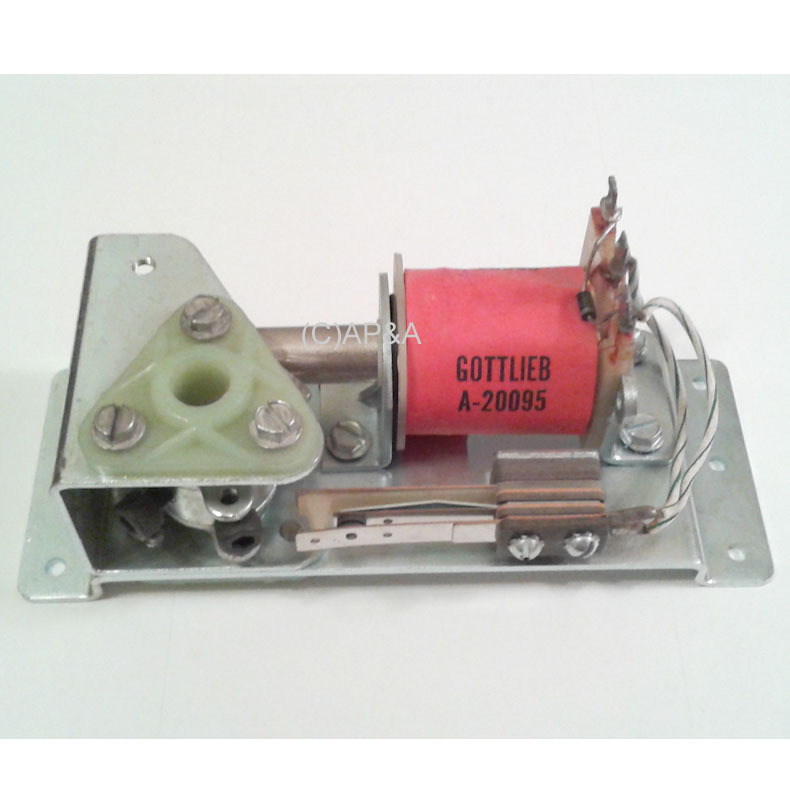 Left side flipper assembly for use in many Gottlieb and Premier pinball games. Includes single end-of-stroke (EOS) switch and A-20095 coil. Uses large-diameter flipper shoe/shaft # A-15531. Flipper bat/shaft and mounting hardware not included- sold as pictured.